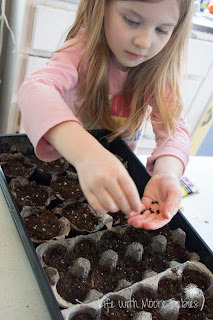 Normally to start seeds I would go buy those little Jiffy pots that expand when you add water, I have always liked how easy they are and the fact that I can just plant the whole thing. 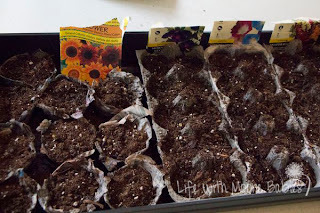 But this year I decided to try to do some recycling while starting some seeds. 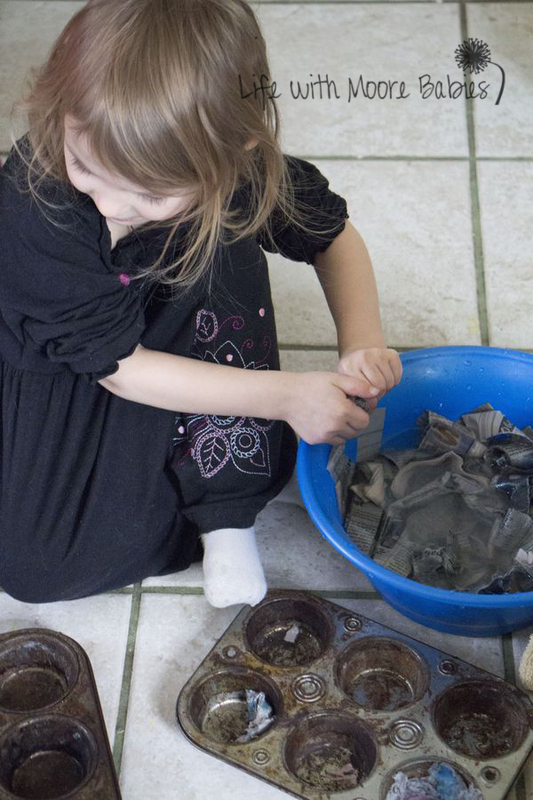 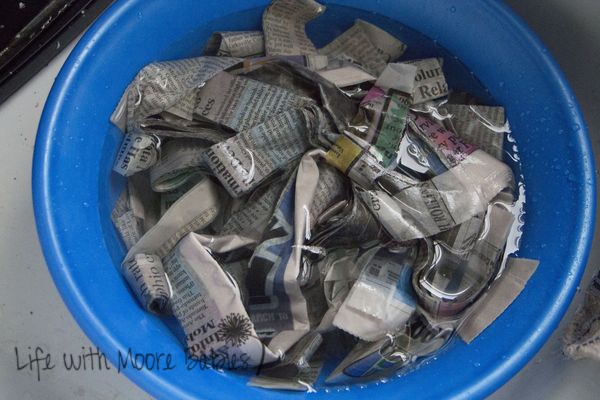 We started with newspaper that was torn in strips and soaked it in water overnight. 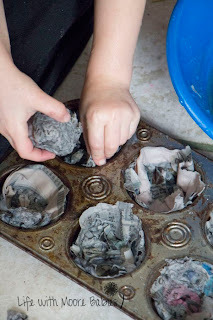 Then we lined muffin tins with it! 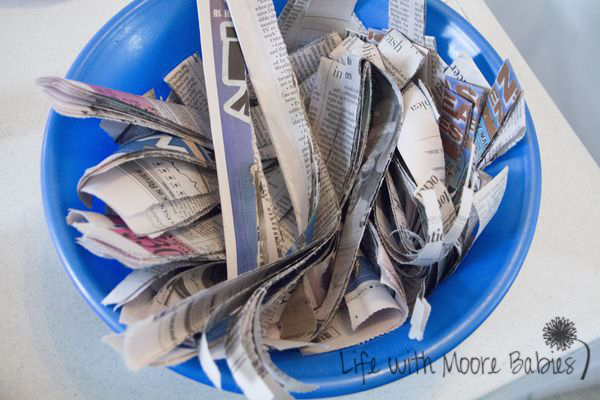 You definitely don't want it too thick because it takes forever dry! I actually stuck ours in the oven at 170 degrees for a while to speed up the drying process. 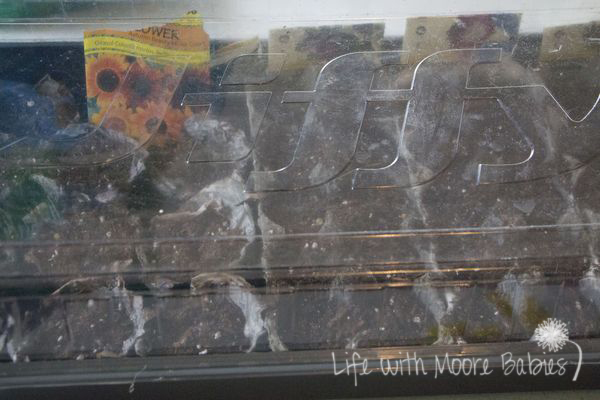 Once they were completely dry you can add seed starter to it as well as water and seeds. I had the plastic part of the Jiffy trays that I placed ours in to catch all the water and act as a little greenhouse. I also wanted to try using cardboard egg cartons. Super easy, just fill with dirt, add seeds and water, and wait. 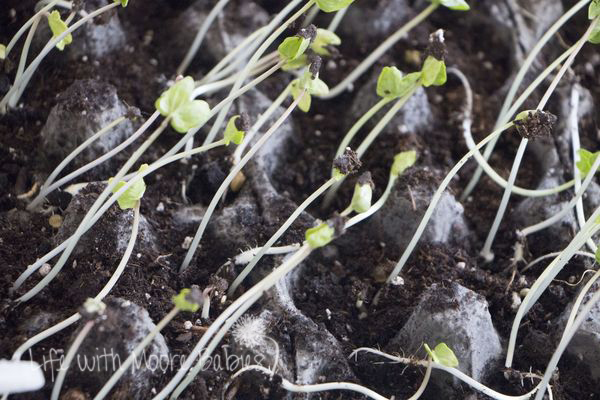 In a week or so we had little seedlings in both our newspaper pots and our egg cartons. The girls and I planted them outside pot and all. 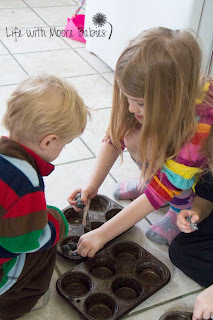 The little pots do fall apart a little when they are wet, but they stayed together well enough to get them in the ground! 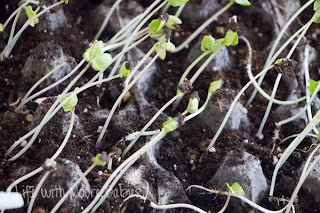 Unfortunately we had a bit of cold weather after planting them, so I hope they are okay. 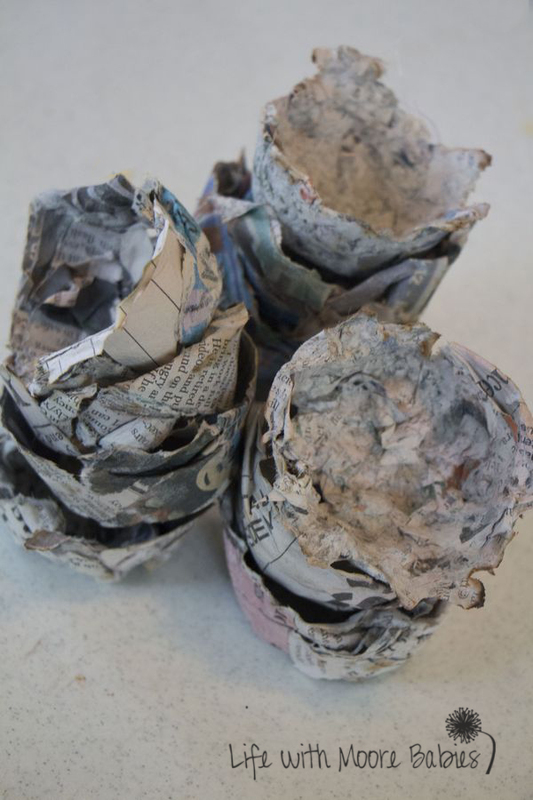 A least we learned we could indeed recycle newspaper and egg cartons while starting our seeds! Now that your seeds are growing, you could probably use some labels to keep your plants straight! 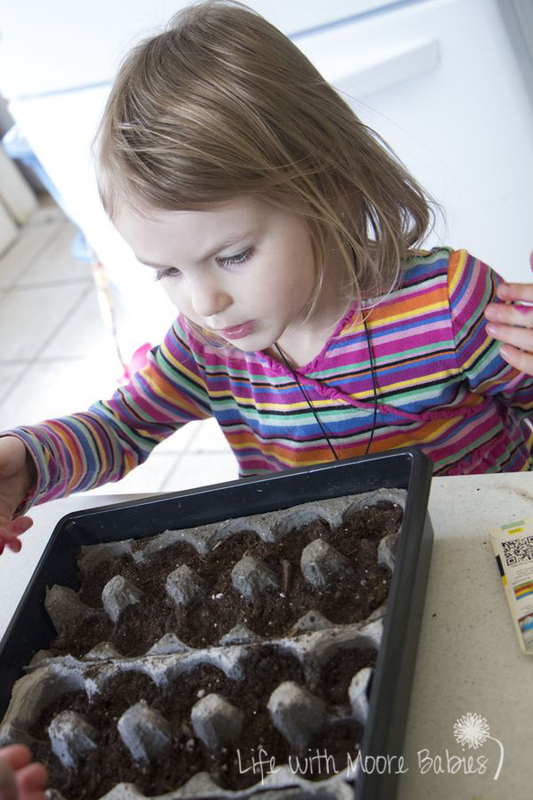 Check out our Super Simple Garden Markers your kids can make!